EHR and Practice Management Software | What Are The Key Differences? 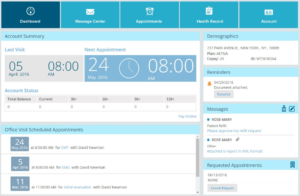 What Is Medical Practice Management Software? Medical practice management software helps deal with the day-to-day work that goes on in a medical office. It bridges the gap between some types of clinical work, such as the documentation of diagnosis and procedure codes, and other work, such as scheduling patient appointments, verifying insurance and managing medical billing tasks. Although it does have some features that may involve patient information, medical practice management is much more weighted toward a healthcare facility’s clerical work. It’s geared toward managing patient flows and general documentation for the medical office as a whole, and less toward patient documentation or medical history. While you might find patient identifiers in practice management, there should be scant medical data involved. For example, practice management software can capture patient demographics but generally will not include a patient’s medical history. With Advanced PM, you can handle insurance verification as well as view how much money a patient will have to pay. 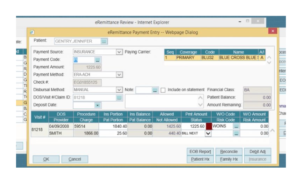 In addition to the automation of patient scheduling and billing, medical practice management software can process claims and generate reports. Medical practice management software helps improve a facility’s productivity and efficiency by allowing administrators and other staff to place more of their focus and efforts on patients and less on tedious, time-consuming paperwork. Still unsure whether or not you could benefit from practice management software? — check out our practice management software requirements template to see what you need out of your system. Rather than dealing with the business side of things, an EHR is geared toward documenting and storing a patient’s medical information. By doing so electronically, rather than on paper, EHRs can reduce the errors and legibility issues that come with the manual double-entry of data and allow practitioners to get through patient appointments quicker. This automation is leading to more accurate diagnosis and overall treatment. An EHR is a modern and comprehensive tool that often includes such different elements as chart notes, patient histories, allergy information, test results, diagnosis coding and other various types of information that are useful throughout the clinical life cycle of patient treatment. With Meditech EHR, patient history and predictive diagnostics can all be viewed in one place. EHRs have been promoted by the Federal Department of Health and Human Services and incentivized by laws like the Health Information Technology for Economic and Clinical Health, or HITECH Act. Eligible medical providers can earn tens of thousands of dollars just for implementing electronic health records; however, facilities that don’t comply can be penalized. These penalties start as little as $100 but can reach as high as a quarter of a million dollars if there is a violation due to willful neglect. EHRs also have portals for patients to access their medical history and view health records, giving patients more control over their overall healthcare treatment. Up-to-date patient data is provided and can be accessed by practitioners and patients alike. 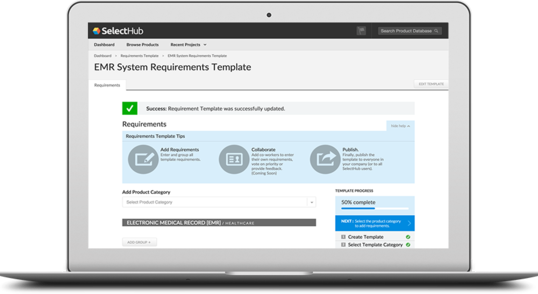 Take a look at our EHR systems requirements template to see if an EHR is right for you and what you’ll need out of one. What Are the Differences Between EHR and Practice Management Software? One simple way to think about this is that while practice management handles a facility’s day-to-day operations, EHR is a very patient-centered resource, and the two may not overlap to any great extent. It’s also helpful to understand the role of electronic medical records. EMR software, much like EHR, has to do with the documentation of a patient’s medical records. As opposed to EHR, EMR tends to be limited to a single clinic. For example, an electronic medical record may only contain documentation that’s proprietary to a specific medical office — it will not usually be portable, or interoperable, in the ways that an EHR is. So, experts often talk about MPM being linked up to EMR, but they don’t talk as often about practice management being linked up to EHRs. In some ways, you could consider the EMR to be the “middleman” in this equation — a solution that’s practice-centered but still somewhat clinical in nature, that integrates with medical practice management. EHR and EMR have many similarities and both focus primarily on patient documentation as well as improving diagnosis and treatment. In recent years, many industry insiders have started to use the two interchangeably, so don’t worry about knowing the difference between EHR and EMR — the important thing to know is that both systems are leading to better patient treatment and diagnosis. Practice EHR’s patient portal allows users to access their health record, manage appointments and make payments. Both medical practice management and EHR software rely on automation. Practice management software automates tasks such as organizing appointment and scheduling specific tasks. With practice management, patient data such as names, demographics, insurance coverage, contact information and more can be stored and reused. With EHR, health patterns can be recognized to discover allergies or even predict diagnosis. Rather than having to collect all of a patient’s information each time they make a visit, you can do it one time right away and store it for future use. This helps save some of the time and effort associated with manual paperwork and allows administrators to focus on more important tasks at issue. Unlike practice management software, the use of EHRs is promoted and incentivized by the US government in an aim to increase the overall level of health care. Like I mentioned previously, eligible medical providers can earn anywhere in the tens of thousands of dollars simply for implementing an electronic health records system in their practice. These incentives are really just icing on the cake for healthcare facilities, who are already noticing an improvement to their bottom line directly related to EHR use. Another difference between EHR and practice management software relates to who will be using the system. A front desk worker doesn’t need to be able to access a patient’s detailed medical history, just as a doctor should have no reason to need access to a patient’s health insurance information. 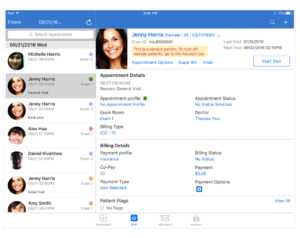 With practice management software, office managers and front desk attendants are most common, whereas healthcare providers, such as doctors, dentists and nurses, are the primary users of an EHR. Although both work to increase productivity, the use of an EHR, specifically, is allowing healthcare facilities to speed up their appointments and see a higher number of patients throughout the day. Additionally, with EHR, patients can access their medical history and set appointments. With hundreds of healthcare software vendors out there, narrowing them down to find your healthcare facility’s best fit can seem impossible. If you are implementing such software into your facility, planning ahead and taking the time to compare different options is a must. One way to handle the challenge of shopping for these various tools is to compare potential fits, then narrow them down to a few and try demos. Taking the time to research different software and how they work is crucial to understand more about what’s standard in the industry and how the average medical practice runs on these tools. Some vendors are also willing to customize to a particular provider’s needs, so in-depth conversations with vendors can also be useful. Those who are responsible for procuring this type of software have to think about cost, functionality and transparency. It’s also important to understand Service Level Agreements in order to make sure the provider is getting value for the cost. DrChrono EHR allows you to view a patient’s appointment details, verify insurance and view billing information. The bottom line is that all of these services (medical practice management, EHR and EMR) have become more diversified and full of specialized components to help practices do everything from patient consultation to billing. Buyers have to look for the specific features and functionality that they need and understand how each vendor service is going to integrate into a bigger software architecture. For instance, practices may rely on broader EHR systems for almost all of their software needs, but integrate a certain amount of functionality from an practice management resource in order to manage the administrative aspects of the office. But again, most of the clinical information will either be in an EMR or an EHR setup. This setup might be fully integrated into other parts of the IT architecture, so data can flow through easily without being kept in silos. Although there are some similarities between medical practice management and EHRs, there is a significant difference in the primary focus of each. To put it simply, the biggest disparity between the two is that practice management is more focused on the business or administrative side of things whereas the basis of EHR lies in documentation and storage of patient files. If you are having issues such as spending too much time scheduling or dealing with patient billing, practice management software is probably something to look into; if your goal is to provide better treatment and eliminate the errors and time associated with documenting medical records on paper, an EHR should do the trick. Depending on the size of your facility and what you wish to accomplish, you may choose both. Determining your facility’s unique issues and needs will help determine which software solution(s) will work best. There are a number of different EHR and practice management software systems out there, so it’s important to be thorough in your research to narrow down your options. In the end, both practice management and electronic medical records exist to increase a healthcare facility’s production and efficiency; they just do so in different ways. 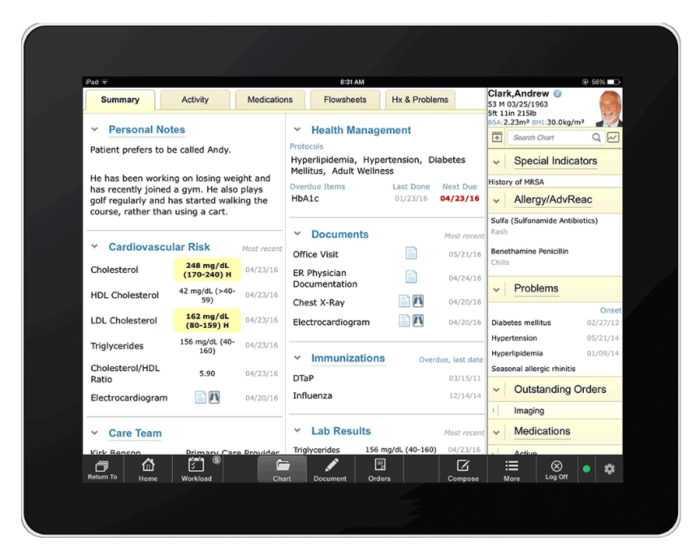 Does your healthcare facility use an EHR or medical practice management solution? What about both? Let us know about your experience in the comments.